Daily: $35 plus applicable taxes. Monthly: $75 with a refundable $65 deposit. All rates include cable & internet. 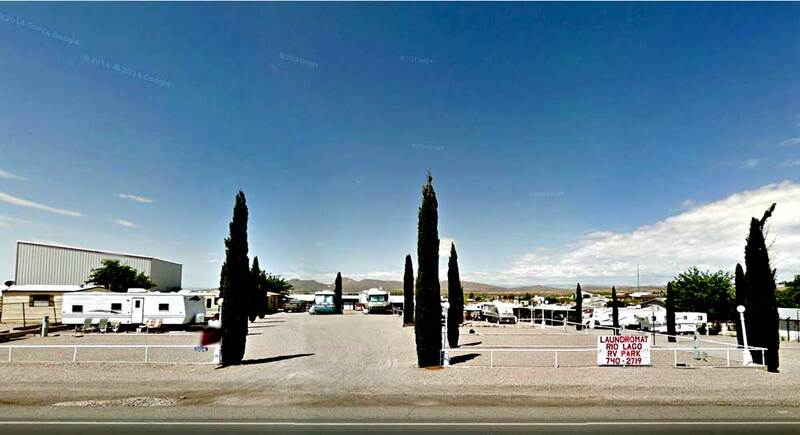 Rio Lago RV Park is a full service RV camping facility located in the center of Elephant Butte, 2 miles from the lakeshore, and close to shopping and restaurants. Two covered patios provide shade. Restrooms and showers are available for RV park tenants; the laundromat, open 6am-10pm daily, serves our guests and the public. Small, well-behaved (and well-cared) for pets are welcome! Directions: From I-25, take exit 83 which drops you onto Highway 195. Our park is located on the right (west) side of Highway 195, next to Butte General Store & Marine. We’re about 2 miles north of the main entrance to Elephant Butte Lake State Park.